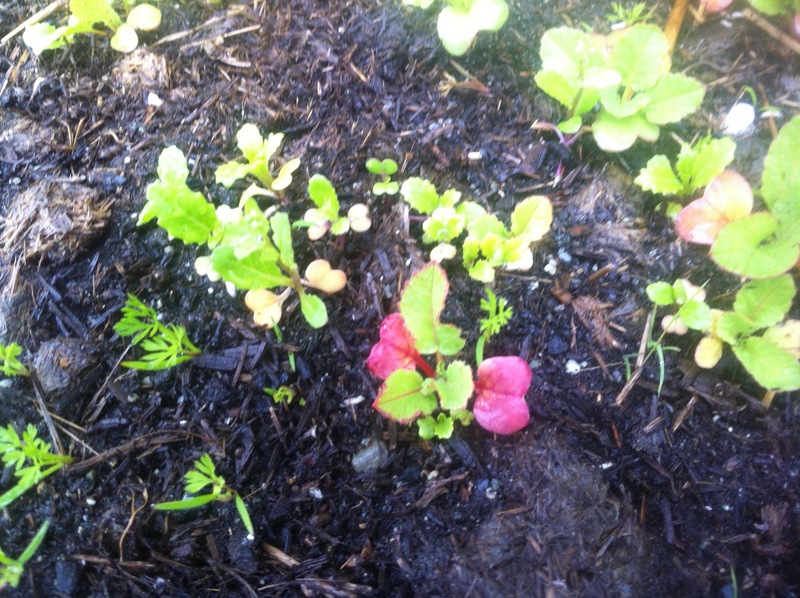 OK, so we’ve built a supposedly fertile lasagna bed full of organic matter for your new plants. We’ve put in some healthy seedlings and some seeds, and you are watering it just right – not too much, not too little (stick your index finger all the way in to tell – read at the tip of your finger a couple inches in – sopping wet = too much, bone dry = too little). So what could go wrong? Well, it’s a messy world out there! And we don’t have time and resources to do a full soil test before planting. 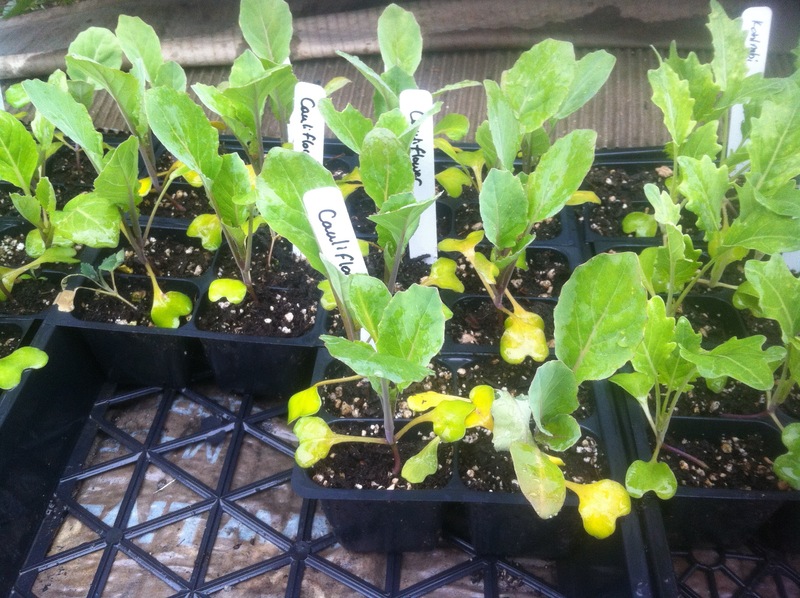 Most commonly, there might be a tad too much ‘browns’ (carbon) compared to ‘greens’ (nitrogen) in our materials, and that can lead to slow growth and yellowing of older leaves – like in these cauliflower seedlings that are ready to get out of their seed starting mix and into a real garden with nitrogen! Heavy feeders like cauliflower might show this before other plants. The solution? Add an organic nitrogen source. 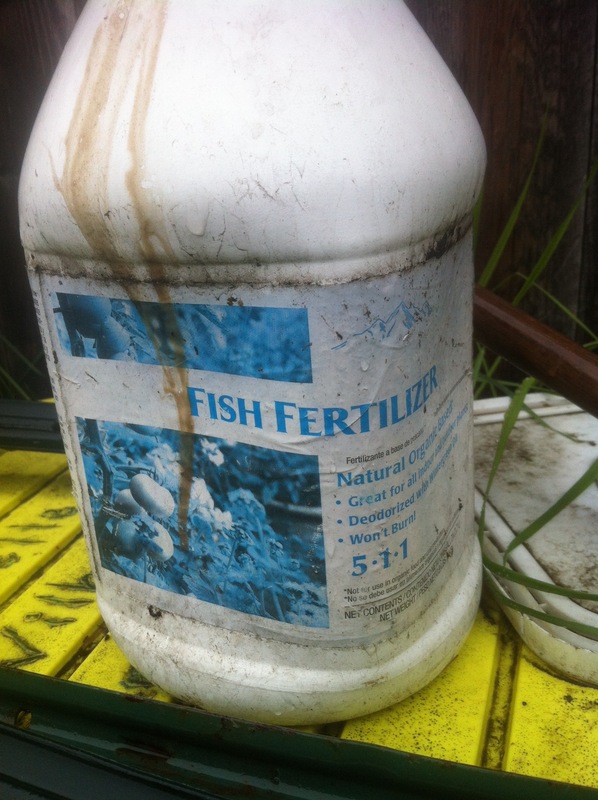 I recommend Fish fertilizer – just follow the directions on the back. A couple of times a week when you water should do it. In 80% or more of our gardens there is no issue at all and things grow like crazy – but if you do see any worrying symptoms, let us know and we’ll help you diagnose and correct things!